This sophisticated chimenea is ideal for colder evenings, the Colorado chimenea is a great alternative to traditional patio heaters. 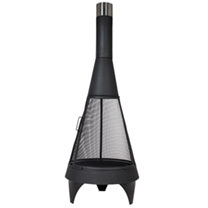 This chimenea has a mesh body that provides a unique 360° flame effect. The contemporary steel heater has a black matt finish and creates an attractive feature in any garden. The chimenea is made from heavy gauge steel and is ideal for burning wood or charcoal. The contrasting silver coloured top section adds a touch of style to this chimenea. A signature La Hacienda product, the mesh medium Colorado steel chimenea is a striking and modern design. 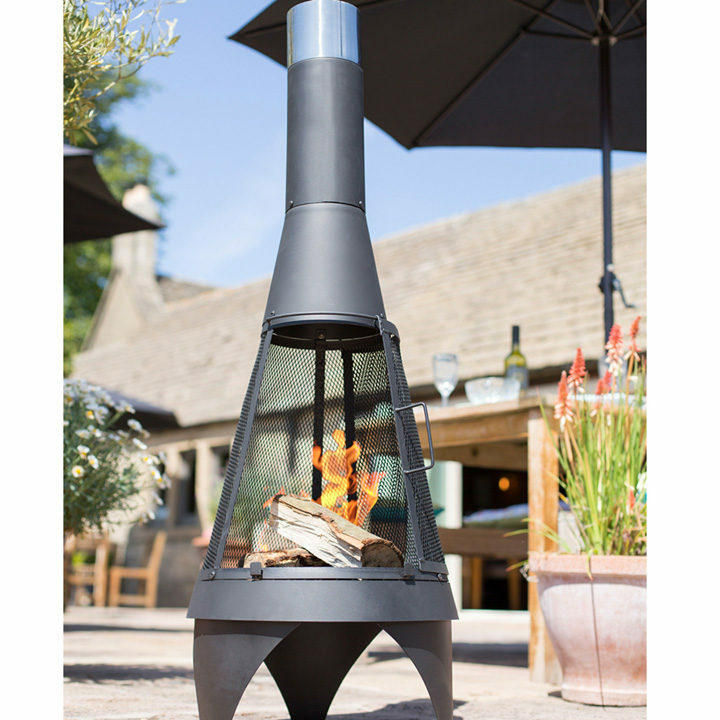 Buy this simply stunning chimenea now for all year round warmth and enjoy watching shadows dancing as the sun goes down. Height 125cm; diameter 45cm.